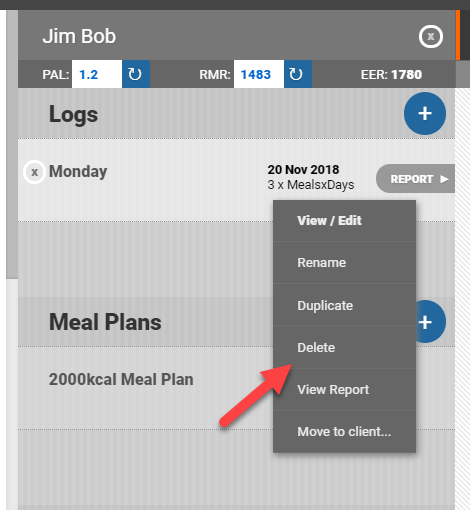 Delete a diet log, meal plan or recipe by clicking the small x on the log list, or by right clicking on a record and selecting delete. 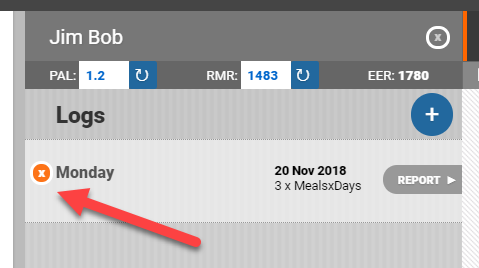 Delete a client and ALL associated data by right clicking on a client, or by clicking the x beside their name in your list of clients. A warning box will confirm that you want to erase all information for this client, this cannot be undone. 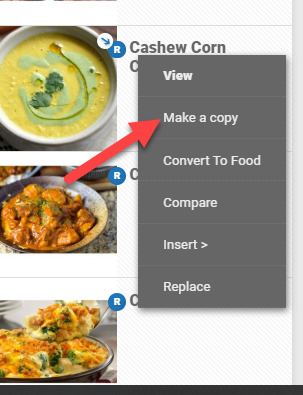 Duplicate a record by right clicking on the record and selecting the relevant option from the context menu.